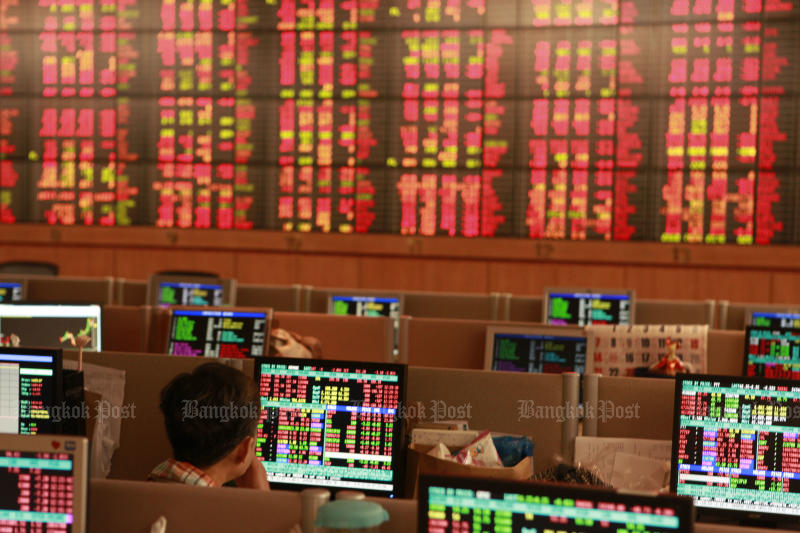 Thai shares lost slightly on Friday, while Malaysia stocks led losses, as investors were rattled after the United States dismissed the likelihood of a quick resolution to the long drawn Sino-US trade war. US President Donald Trump on Thursday said he would not be meeting China's Xi Jinping before the March 1 deadline, sparking fears that two economies would not be able to clinch a pivotal trade deal. The negative sentiment dampened regional markets and pushed broader Asian shares lower, though trading remained thin as China was closed for Lunar New Year holidays. The Stock Exchange of Thailand index eased 1.43 points or 0.09% to 1,651.68, in turnover worth 56.86 billion baht. The SET index dropped 16 points shortly after the open before it rebounded to end flat. The Malaysian index ended 0.4% lower, falling the most across the region. Index heavyweight Axiata Group Bhd fell 4.4% to an over two-month low, dragging the benchmark. According to local media reports Axiata Group and its unit Ncell are to foot a tax bill of 61 billion Nepalese rupees (US$536.03 million), excluding late fees and fines for the capital gains tax on Ncell buyout deal following a Supreme Court ruling. Philippine stocks fell 0.4%, hurt by losses in financial and telecom stocks. For the week the Manila benchmark index dropped 0.9%, marking its first weekly loss in 2019. PLDT Inc dropped 3.4%, while shares of Bank of the Philippine Islands slid 1.4%. The Indonesian benchmark closed down 0.2%, with material and energy stocks leading declines. The index marked its first weekly loss in the new year, snapping a rally of six weeks. Charoen Pokphand Indonesia Tbk PT dropped 1.9%, while United Tractors Tbk PT slipped 2.9%. Vietnam's financial markets remained closed this week for Lunar New Year holidays.